Stuck in an office with noisy desk mates? Raging brainstorming sessions? Over-enthusiastic lunch meetings? 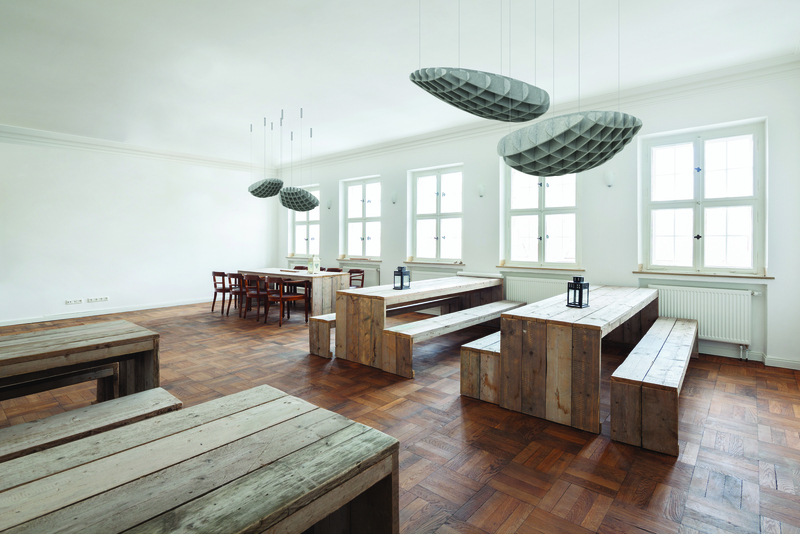 When sounds disturb your workflow, acoustic solutions can make all the difference. Designed to absorb noise and separate spaces (acoustically and sometimes spatially), this mix of office furniture will make the sounds from the conference room go from noisy to hushed. It’s alive! American designer Cory Gross collaborated with the Belgian furniture purveyor on a noise controlling green wall system that doesn’t have to be watered, ever. Clothed in reindeer moss, the wall panels naturally absorb sound and simultaneously assimilate water from the air. Even better, you can mix and match seven different geometric shapes to create designs with two moss colors in a powder-coated metal frame, which can be painted any color under the sun. Jetty Table Abstracta Tired of sharing spaces with noisy coworkers? Unlike like typical large tables whose hard tops actually amplify noise, Jetty features a tabletop made of several layers that soak up sounds. Unusually large, the table is available in two titanic lengths: eight and fifteen feet. Island Wall System Rockfon Curtail noise in spacious spaces! Containing up to 41 percent recycled content, Rockfon’s stone wool wall panels absorb sound and diffuse light. The smooth surfaces actively reflect light and absorb sound in large, open spaces (e.g. lobbies, atriums, reception areas, etc.). Ideal for renovations and new projects alike, the panels can be installed in various sizes to make custom configurations. Gazebo Nienkämper Ever wish you could work outside? Employees can seek refuge in Nienkämper’s indoor “gazebo.” Outfitted with biophilic acoustic wall panels and wooden ceiling slats, the enclosed space is perfect for private meetings or individual retreat. Paravan Arper Last week at Orgatec in Cologne, Germany, Arper debuted the Paravan collection, a series of colorful modular partition walls. Creating a space for meetings, dining, and other purposes somewhere in between, the collection not only absorbs sound but defines space. Available in three curved and straight sizes, the panels can be arranged in endless configurations to foster privacy or collaboration. Philips Large Luminous Surfaces Soft Cells by Kvadrat Pairing Philips LEDS and Kvadrat textiles, these large surfaces control noise and provide ambient lighting. Comprising a multi-colored LED swathed in a textile panel, the system is available in standard as well as custom sizes and can be used individually or in groups. Outfitted with digital connectivity, Philips Luminous Textile Panels can be remotely controlled and managed by smart building systems. Vee Q Design for Allermuir Enclosed by a sound absorbing partition, this chair is an inviting place to work with built-in USB and electric ports, as well as under seat storage. 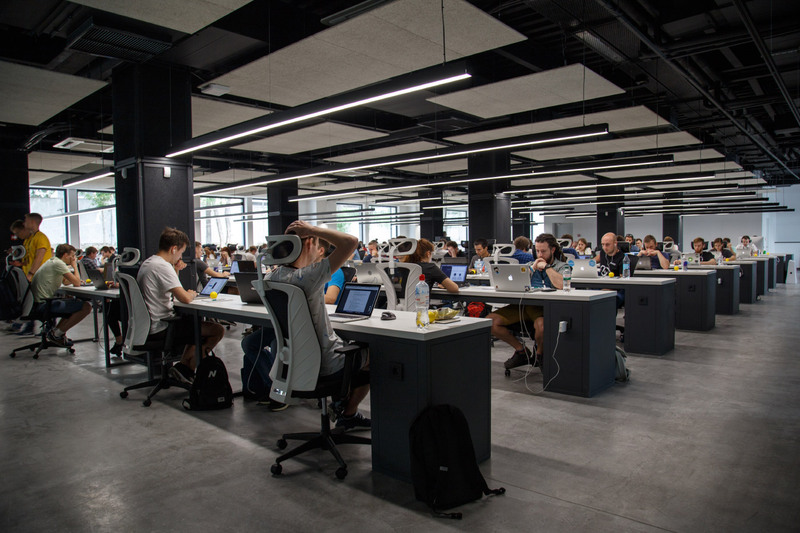 Be it a traditional finance office with tufted chairs, or, perhaps, a slick technology start-up in a We Work-style open-office plan, Vee can fit in contemporary and traditional spaces alike. Allermuir offers a range of colored upholstery from the most sumptuous textile names, including Kvadrat and Maharam. 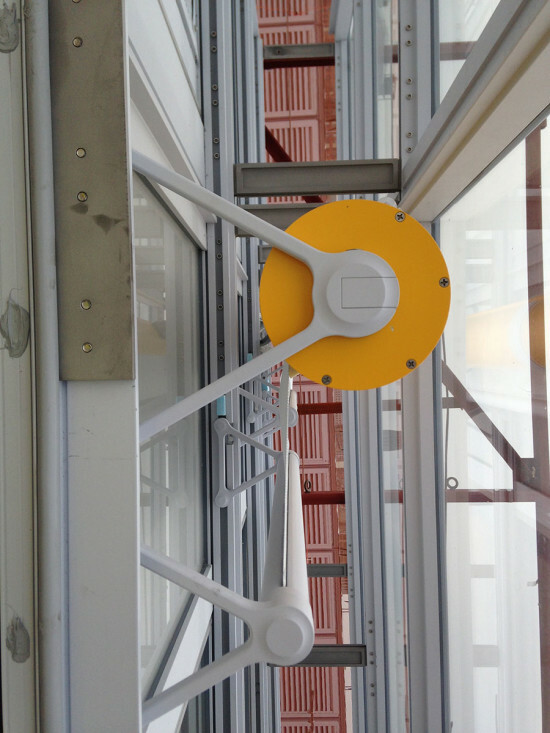 SilentPac by Accurate is a suite of acoustically engineered door hardware designed to soften noise from opening and closing doors, ultimately resulting in more peaceful and quiet environments. 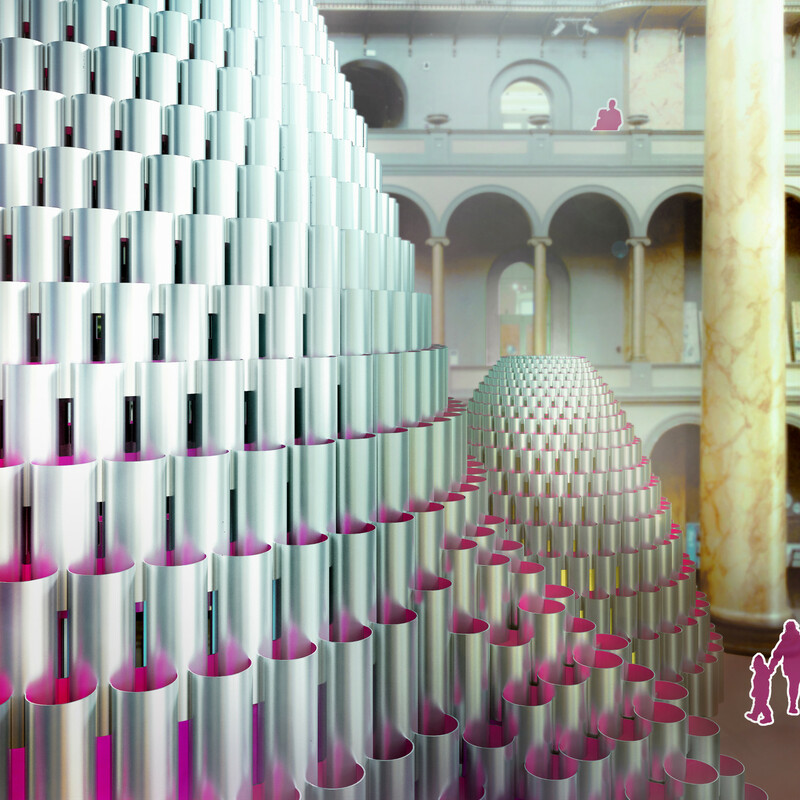 Studio Gang will install a human hive in the halls of the National Building Museum this summer. The Chicago- and New York–based studio will erect thousands of wound paper tubes to create three domed rooms, the tallest of which will stretch 60 feet into the air. The tubes, a sustainable building material, range in height from a few inches to ten feet. The installation, aptly named Hive, will anchor the D.C. museum's Summer Block Party, a series of temporary commissions inside its Great Hall. Previous participants include James Corner Field Operations (2016), Snarkitecture (2015), and BIG (2014). “When you enter the Great Hall you almost feel like you’re in an outside space because of the distance sound travels before it is reflected back and made audible,” said Studio Gang founding principal Jeanne Gang, in a prepared statement. “We’ve designed a series of chambers shaped by sound that are ideally suited for intimate conversations and gatherings as well as performances and acoustic experimentation. Using wound paper tubes, a common building material with unique sonic properties, and interlocking them to form a catenary dome, we create a hive for these activities, bringing people together to explore and engage the senses.” The firm's installation will compress the capacious Great Hall, with its imposing Corinthian columns, into intimate spaces for conversation, playing musical instruments, or cooperative building activities for children (and adults so inclined). The tubes also feature reflective silver exteriors and vivid magenta interiors, creating a spectacular visual contrast with the Museum’s historic nineteenth-century interior. Hive will be on view from July 4–September 4, 2017. Check nbm.org for more information about the exhibition and related programming. Save for a recording of the desert, the luminous purple-gray space is so soundless you can hear a whole constellation of funny bodily noises that are typically unhearable in everyday life. 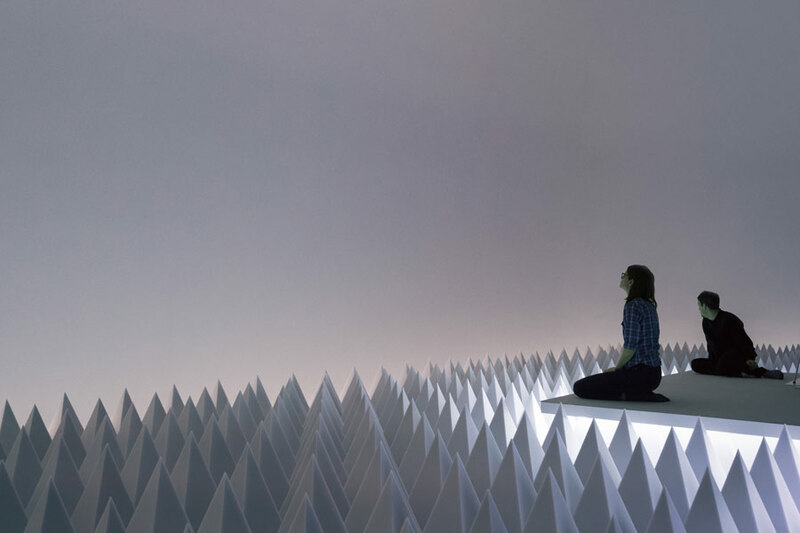 While sound in a quiet room registers at 30 decibels, in Wheeler's semi-anechoic chamber, noise levels check in at about 10 to 15 decibels. PSAD Synthetic Desert III is on view through August 2 at the Solomon R. Guggenheim Museum. More information about reservations and walk-in tickets can be found on the museum's website. Peek inside the new restaurant and cocktail bar almost 1,000 feet above L.A.
With the recent completion of a Gensler-led renovation to the building’s lobby and uppermost floors, the addition of a terrifying glass slide by M. Ludvik Engineering, and the opening of 71Above, a smart restaurant and cocktail bar designed by Los Angeles–based Tag Front, L.A. suddenly has reason to reconsider what might be one of the city’s most easily overlooked landmarks: the U.S. Bank Tower. The 1,018-foot stepped skyscraper at the heart of the city’s central business district was built in 1989 and designed by Henry N. Cobb of Pei Cobb Freed & Partners. Its 73 stories culminate in a flat-topped, multilevel penthouse suite formerly occupied by a boardroom. In recent years, the tower has struggled with high vacancy rates and the dramatic renovation comes as the building’s new owners, Overseas Union Enterprise Limited (OUE) aims to reinstate the building in the public’s mind. Central to that effort is the Tag Front–led design for 71Above, located in the uppermost floor of that ex-board room. The overhaul has transformed a prototypical office building into a contemporary and noteworthy spot and modernized the spiky, crenelated cap sitting atop what is now—with the recent topping-out of the Wilshire Grand tower—L.A.’s second-tallest building. As a result, 71Above has been added to the city’s collection of remarkable spaces; there all can enjoy the tower’s panoramic views. Tag Front described the project’s guiding principles as encompassing “the existing nature of the building, [the space’s] footprint, and the client’s desire for the dining and lounge areas to wrap around the entire building.” The space features wraparound atmospheric vistas thanks to special high-tech glass developed by SageGlass that very slightly changes opacity as the sun moves across the sky, minimizing heat and glare within the space and removing the need for view-blocking draperies. The self-shading windows are framed by expanses of thin wood-panel piers suspended from the facade. These piers lurch forward at the molding line, pivot out over the dining room, and accentuate each aperture. 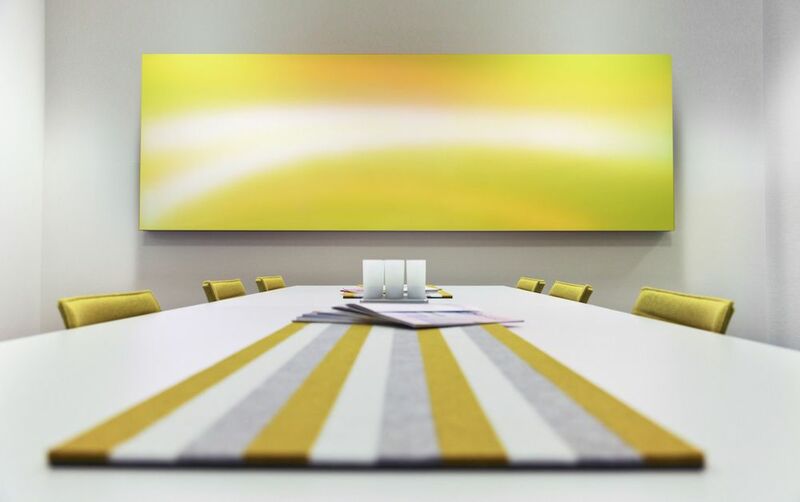 In some areas, the panels conceal collapsible partitions that can be pulled out to make private dining rooms. Along a central area, the same wood paneling is used to frame the restaurant’s wine collection. The ceiling spanning between these two areas, however, is a testament to the union of geometric articulation and functionality. Here, Tag Front installed a ceiling configuration, developed by architectural-products manufacturer Arktura specifically for the project, that consists of a hexagonally shaped grid of woven baffles made of recycled plastic that dampen sound. This arrangement complements the city stretching out just over the precipice, mimicking what, from nearly a thousand feet above, looks like an orderly, gridded urban expanse. 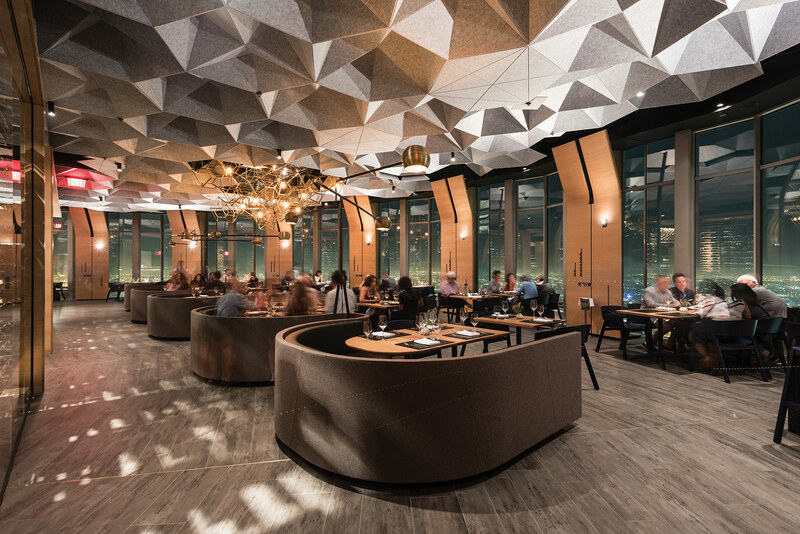 In the end, the team of designers, fabricators, and carpenters came together to create a space that is relatively novel for the city: one of the few observation-deck-level restaurants not perched on a mountainside. Acoustic accents that not only lead to better sound quality, but also help to beautify a space. Zintra Acoustic Solutions MDC The newest collection from MDC offers a variety of different acoustical options that range from a Noise Reduction Coefficient (NRC) rating of 0.26to0.60, depending on the design. They offer a large selection of products run the gamut from wall panels to sculptural ceiling-hung structures that are available in a variety of colors and patterns. These allow designers to make them stand-out or fade into the background. Gaia Acoustic Panel Blå Station Gaia (which means 'nature') is the newest sound-reduction paneling collection from Blå Station. The collection is divided into four pieces that represent the four elements (earth, fire, wind, water) which can be combined to create an array of different patterns. The Warm moulded Formfelt tiles are available in five colors. Parentesit Freestanding Arper Arper's Parentesit line has expanded to include freestanding models that can be used to create additional private work or meeting spaces in open layouts. The modular system can realize a range of compositions and is available in four options: two round panels of different size, one square panel, and one combination square and round panel. BuzziLight BuzziSpace BuzziLight is now available in two new laser-cut patterns—Alhambra and Royal, that resemble antique metal lanterns and cast really beautiful shadows and diffused light as well as reducing noise pollution. Planostile Rockfon The Planostile lay-in metal ceiling system now includes aluminum panels with a flush reveal profile that are easily installed and provide long-term and acoustical performance. The panels include painted, metallic, and wood-look finishes. 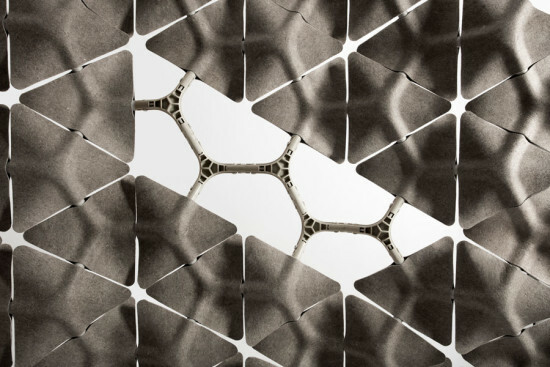 These innovative coverings do not sacrifice quality or efficiency for style. Modular and adaptable acoustic panels allow for a changing environment, and tie-dye inspired wallpapers translate decades old techniques into modern applications. Scale Layer Design A highly adaptable modular system, Scale is an acoustic partition that is intended to grow or shrink with an ever-evolving workplace. The system has a recycled aluminum stand and is comprised of injection molded recyclable ABS with pressed recycled hemp tiles available in multiple colors. Echopanel Kirei EchoPanel tiles are made out of 60-percent recycled plastic bottles, eco-friendly dyes, and no added adhesives—earning them a GreenTag certification. 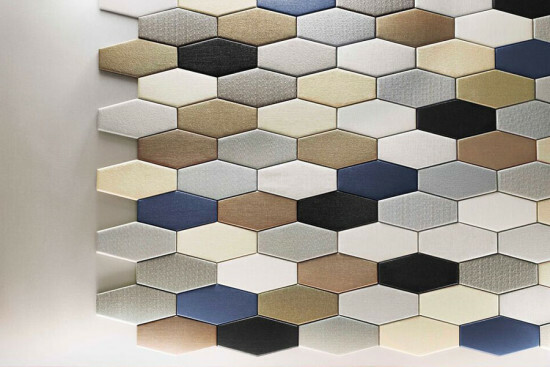 The tiles retain up to 85 percent of ambient noise and are endlessly customizable. There are more than 30 color options that can be printed with any image or laser-cut in a variety of shapes. Indigo Maya Romanoff Part of a limited edition collection inspired by Maya Romanoff’s studies in India and Southeast Asia in the late 60s, this pattern resembles a traditional fabric dying technique and is hand painted using indigo dyes on folded durable paper. Digital Imagery Moz Designs Designers can print custom photos on .040- to .090-inch thick aluminum with either a glossy or matte finish that can be used on many surfaces including walls, columns, and ceilings. Graphics can also be printed on solid core or perforated aluminum with a variety of special colors and gradients. Fade Walnut Wallpaper This beautiful peel-and-stick ombre tie-dye pattern is available in two colors and can be easily removed and replaced. It is also made of vinyl, which makes it ideal for areas with a lot of moisture. Banda Eskayel The tropics collection is designer Shanna Campanaro’s interpretation of beach motifs in Belize and Nicaragua. The prints are a modern take on traditional wallpaper motifs like toile, shibori, and palm leaves, and are available in a variety of color options. Renzo Piano Building Workshop (RPBW) is designing four buildings to be built over the upcoming years as a first phase of Columbia University’s Manhattanville campus expansion. The first of these four projects to break ground is the Jerome L. Greene Science Center, a research facility used by scientists working on mind, brain, and behavior research. 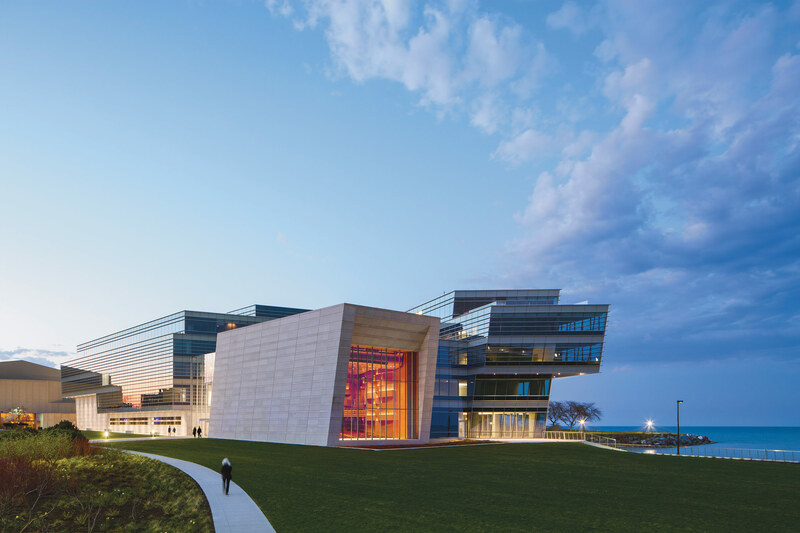 The facility is ten stories wrapped in nearly 176,000 square feet of building envelope, consisting of transparent floor-to-ceiling glazing. “Columbia’s existing buildings are sited massively on the ground, and the campus— for many reasons—is gated. However, the new Manhattanville campus will express the values of this century: tolerance, openness, permeability, and transparency. It’s a new generation of campus design,” said Antoine Chaaya, the RPBW partner in charge of the Columbia project. An elevated subway track along the east facade generated 88 dB of noise, which needed to be significantly reduced for occupant comfort. To achieve this, the architects created a double skin facade system that was sealed from the outside. It represents the fourth double skin facade developed by RPBW, and the first to include active air circulation, according to Chaaya. 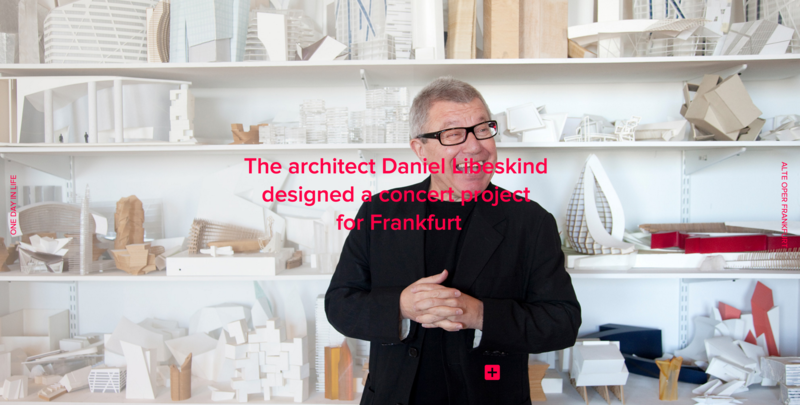 “What helped us to create this fourth typology of double skin is the constraint: The fact that it cannot be permeable to the outside. It has to be sealed, and at the same time we have to fight against potential condensation. We solve the problem by active air circulation from the bottom to the top of the building.” The resulting facade system provides superior blast resistance and thermal properties, while reducing sound transmission by 45 dB. The cavity of the facade assembly is 18 inches deep, sized just large enough for maintenance access. Highly purified and dehumidified air is filtered three times and slowly cycled up vertically through the cavity at two feet per minute, a rate that ensures quiet operation and no disturbance to shading devices within the cavity. Air in the cavity cycles at a rate of six air changes per minute, managing heat gain and condensation buildup in the cavity. Variations in the facade are generated from functional responses to solar orientation due to orientation, honestly expressing the interior functions of the building. The result is a sophisticated building enclosure, abiding by a rigorously minimal design aesthetic while nimbly adapting to environmental criteria.